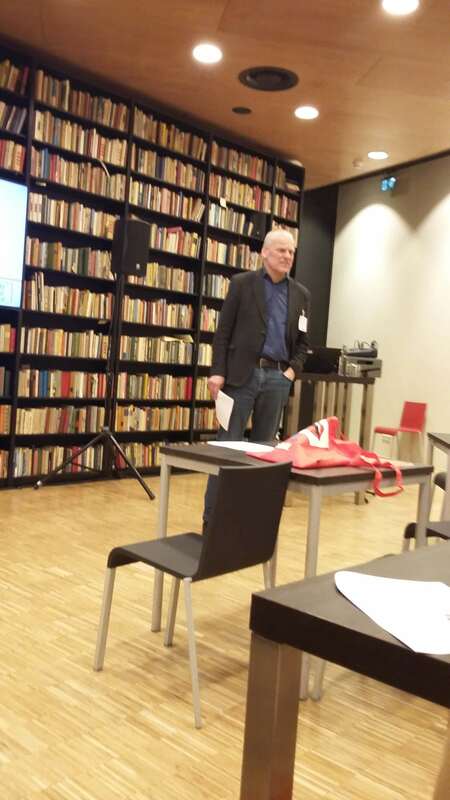 On 23 to 26 April 2018 the Fryske Akademy organised the first Conference on Frisian Humanities in the Municipal Theatre De Harmonie in Leeuwarden. 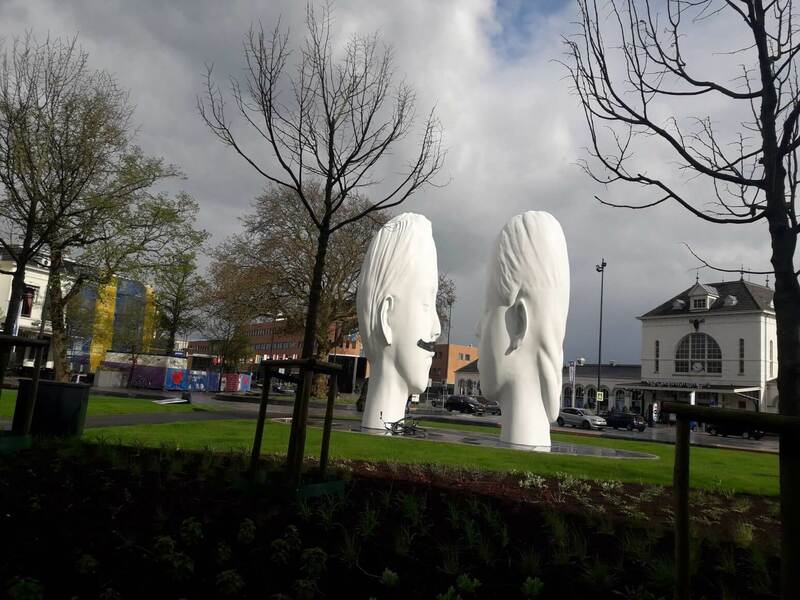 This four-day conference brought together scholars from different disciplines to Ljouwert/Leeuwarden, the capital of the bilingual province Fryslân. 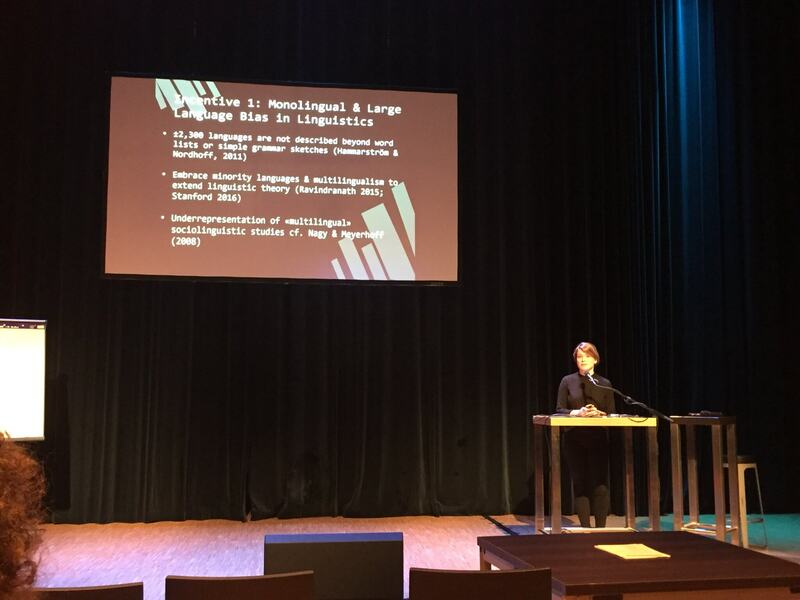 The Conference provided a forum for scientific debate concerning language and culture in the Frisian regions, in the past and present, and from an international perspective. 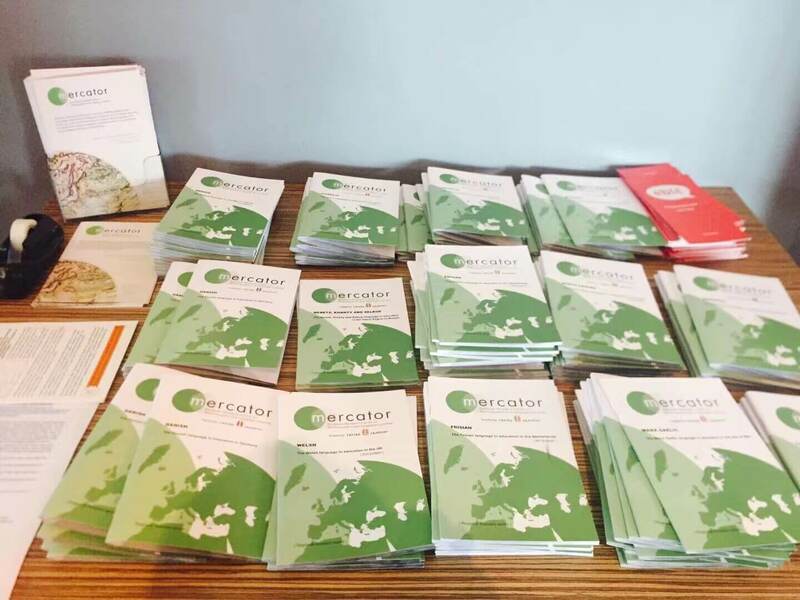 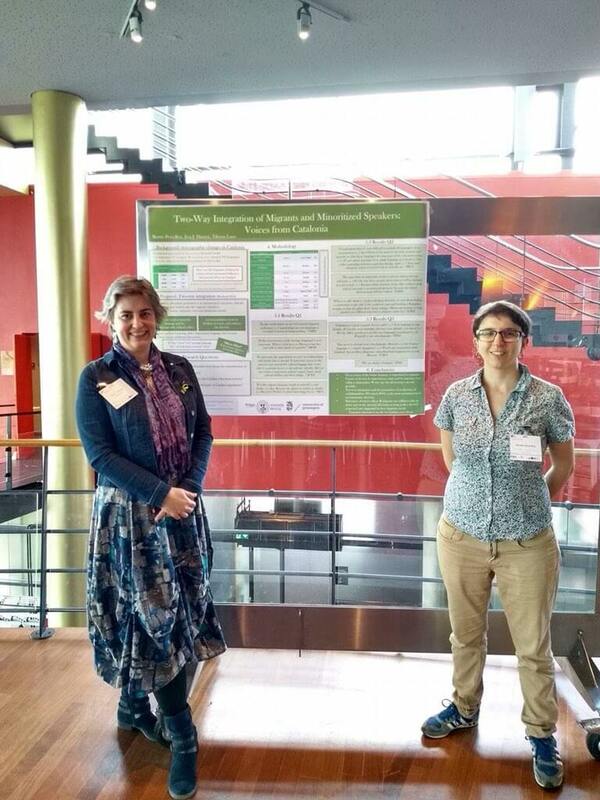 On Wednesday 25 and Thursday 26 April, the focus of the conference was on multilingualism. 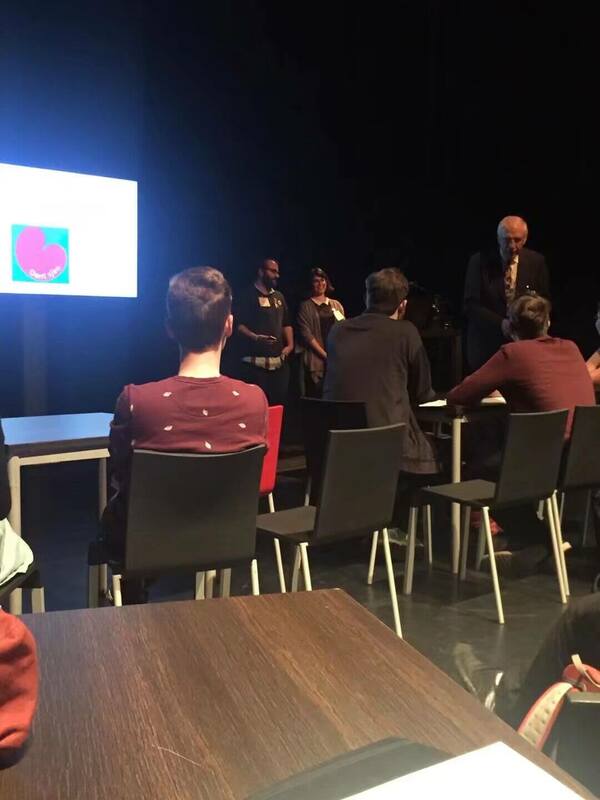 Among the speakers were well-known researchers like Jim Cummins, Jasone Cenoz, John Edwards and Yaran Matras. 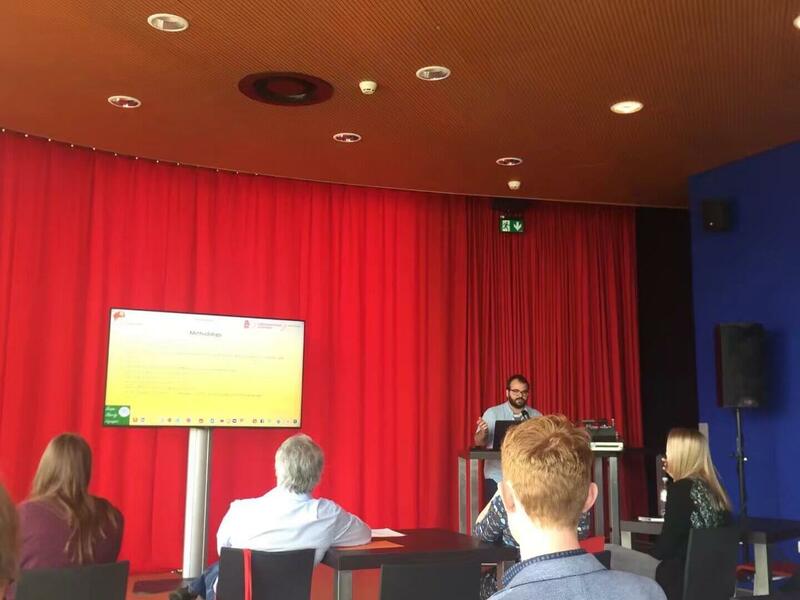 Our staff members were represented in full force as well: dr. Joana Duarte, dr. Nanna Hilton, dr. Willem Visser, Anne Tjerk Popkema, prof. dr. Goffe Jensma, dr. Eva J. Daussà and dr. Tilman Lanz all presented their thoughts on current issues in Frisian language and culture and/or minorities and multilingualism. 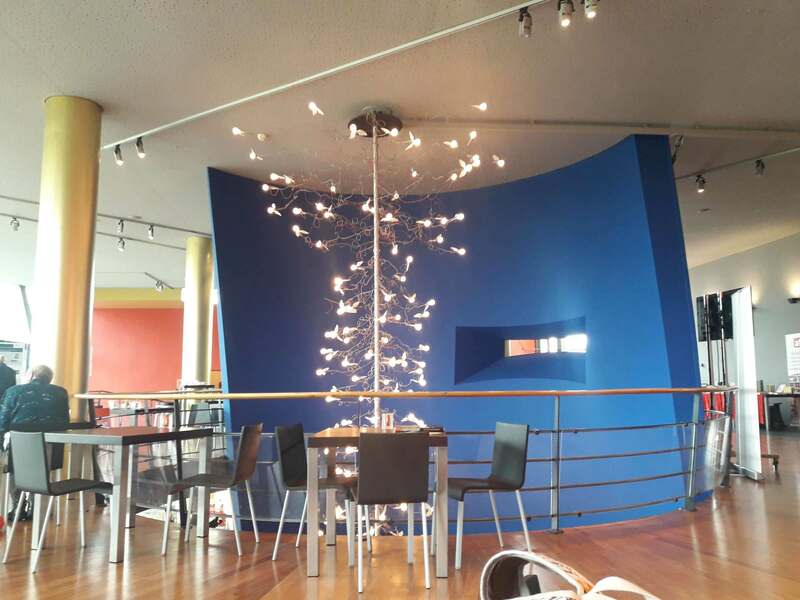 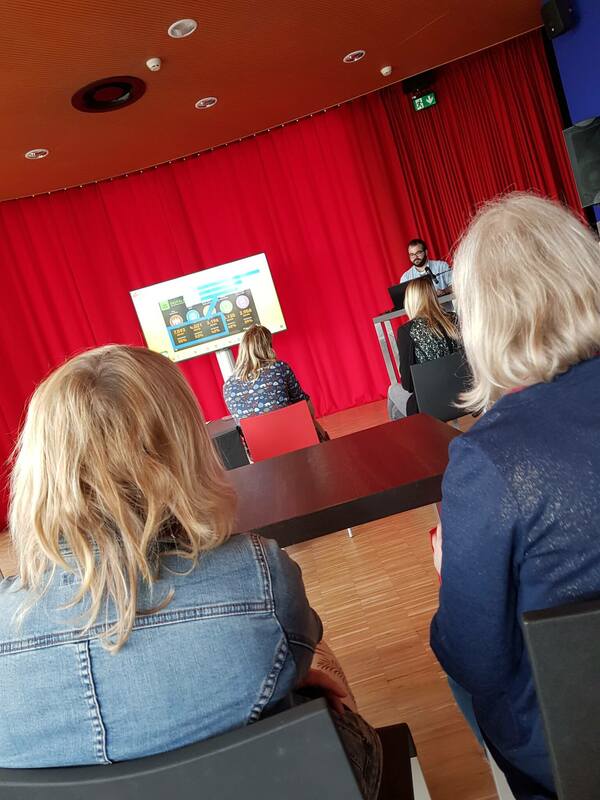 “The conference was a great venue for me to present some of the very first results from the Stimmen fan Fryslân project – we got a lot of good feedback which was great. 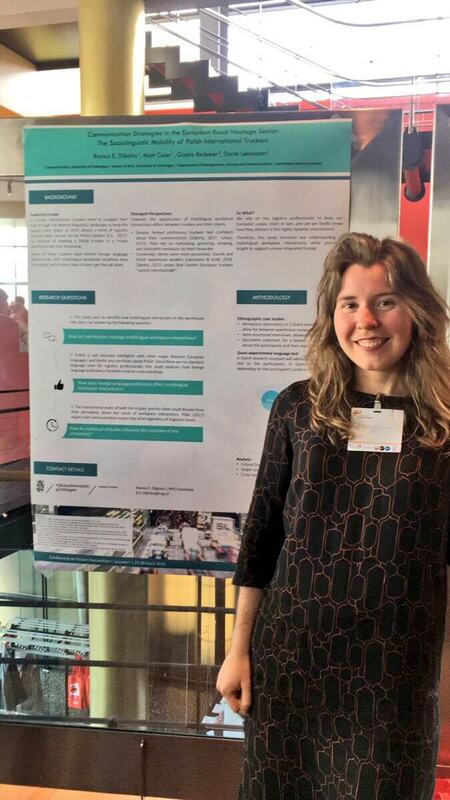 I really enjoyed the presentations and was so happy to see so many of our students there”, said Nanna Hilton, who presented some of the results of the project Stimmen fan Fryslân. 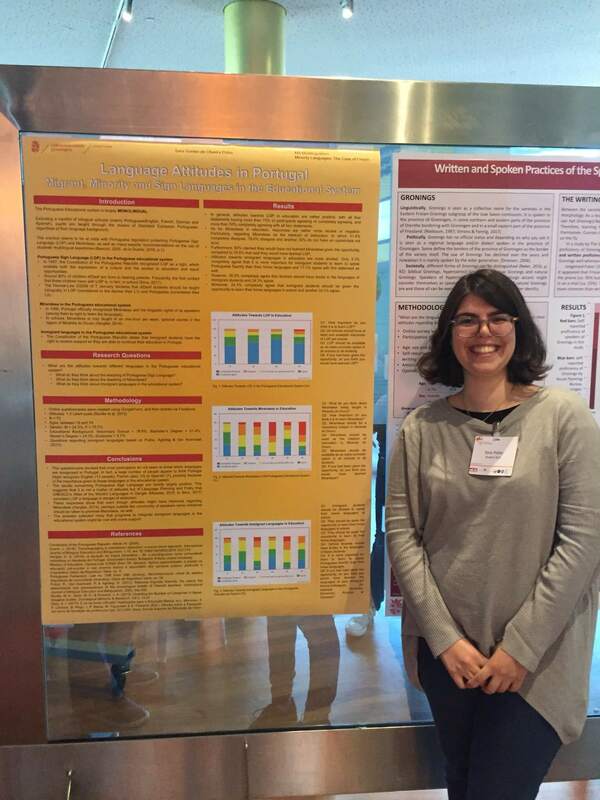 And indeed – we couldn’t be any more proud of our BA and MA students for their participation in the Conference! 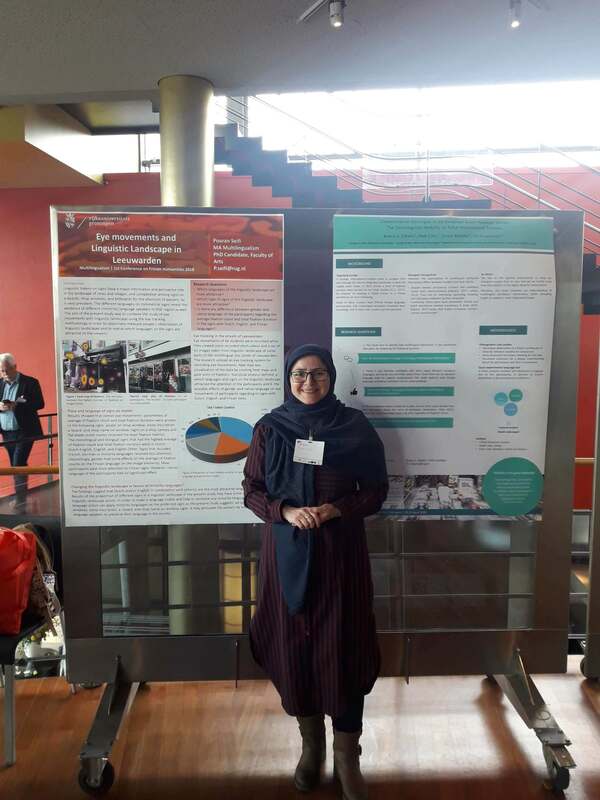 While over 40 of our BA and MA students visited the event, several students played an active role in the Conference as well, presenting their poster or giving talks. 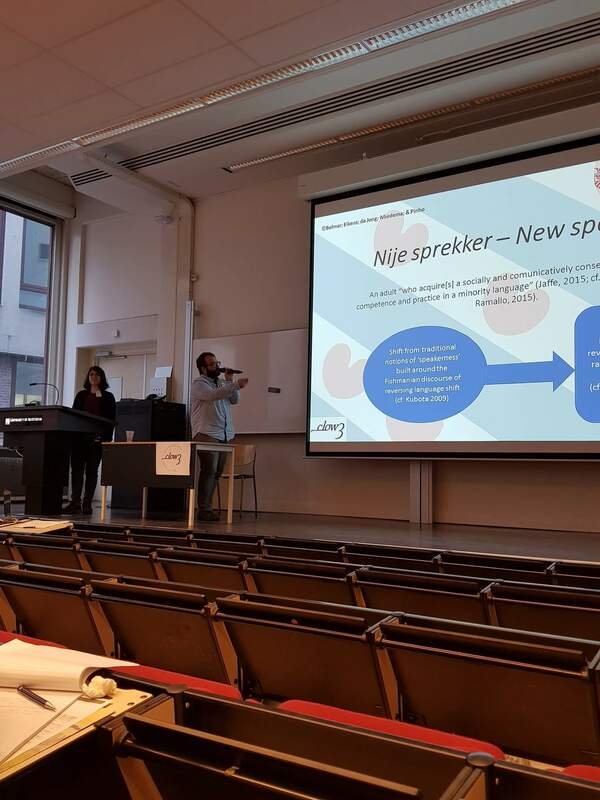 What motives people to become nije sprekkers fan it Frysk (new speakers of Frisian)? 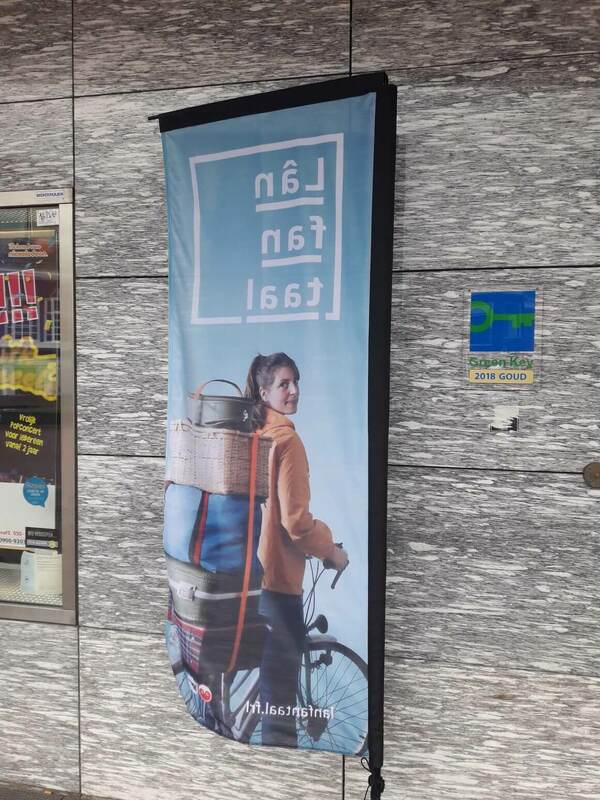 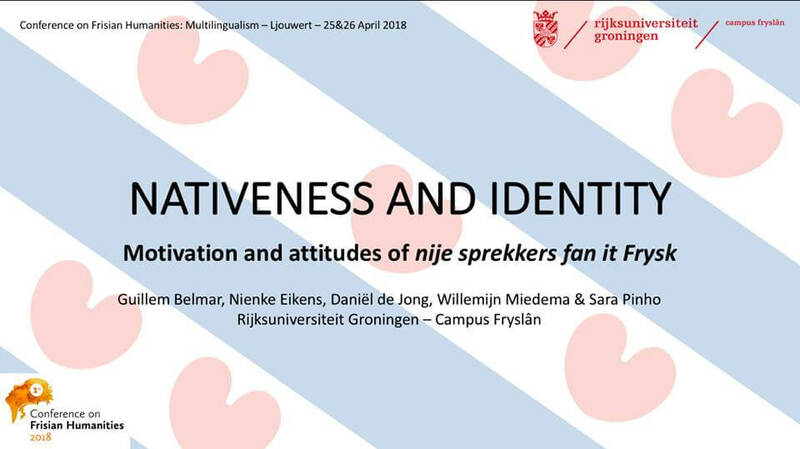 Two of our MA students – Guillem Belmar and Sara Pinho – discussed this topic during their talk Nativeness and identity: motivation and attitudes of nije sprekkers fan it Frysk. And it seems these students weren’t finished spreading the word: a week later they would give this high quality talk again at the 3rd edition of Contested Languages in the Old World, an international conference held in Amsterdam. 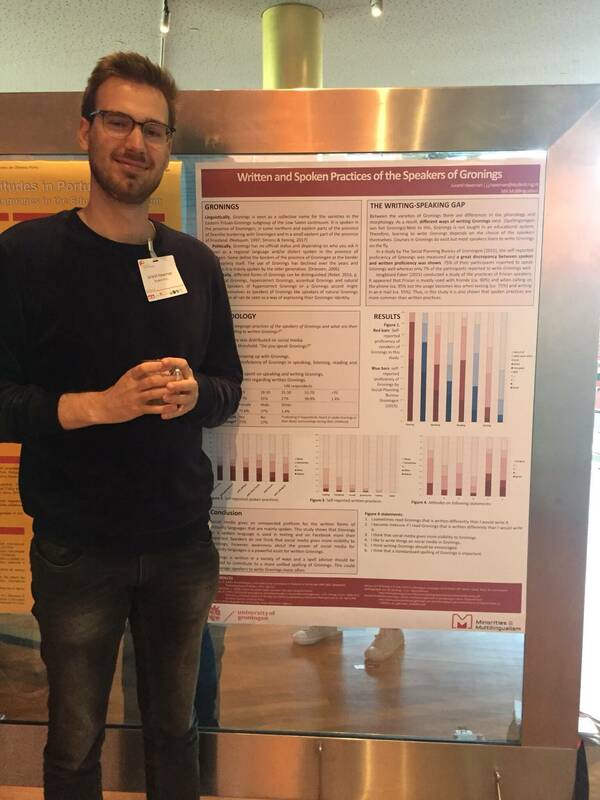 In addition, Guillem Belmar presented his research on the use of minority languages in social media at the Conference on Frisian Humanities.